Once you get familiar with the User Interface of Blender, it's time to try the advanced and latest features of Blender such as camera tracking, Dynamic Paint, Smoke/Fluid/Cloth Simulation and so forth. 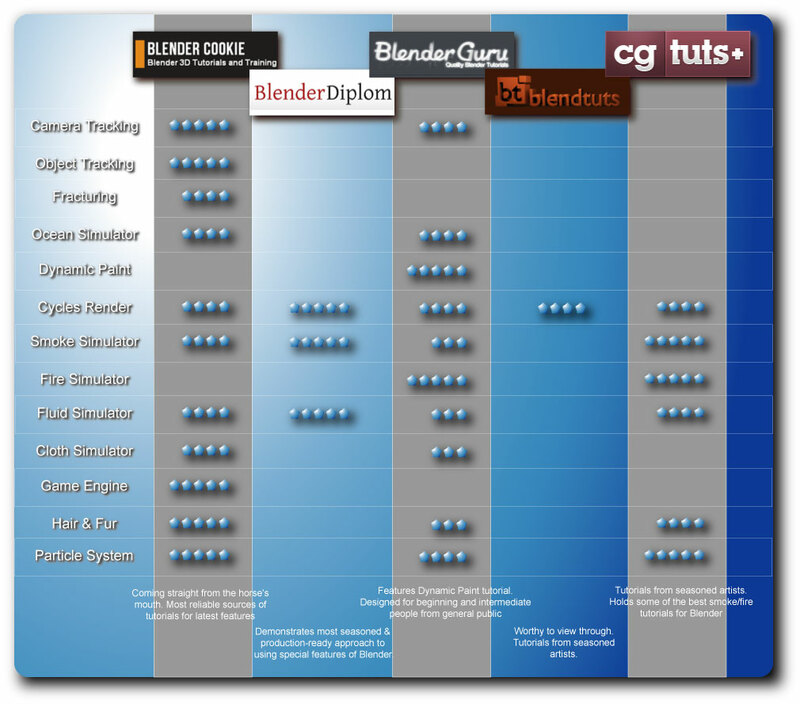 Where, however, can you turn to for advanced Blender tutorials for such features? As of today-April 16, 2012-the followings are a few of notable sources for such online tutorials. So which is your favorite choice? A : Which of the Above Did You Find Most Useful? 8. Best Tutorials for Trained Artists Starting Up with Blender?